Peak Transfer provide reliable airport and in resort transfers from Geneva to Saint Gervais, get a quote and book online today. 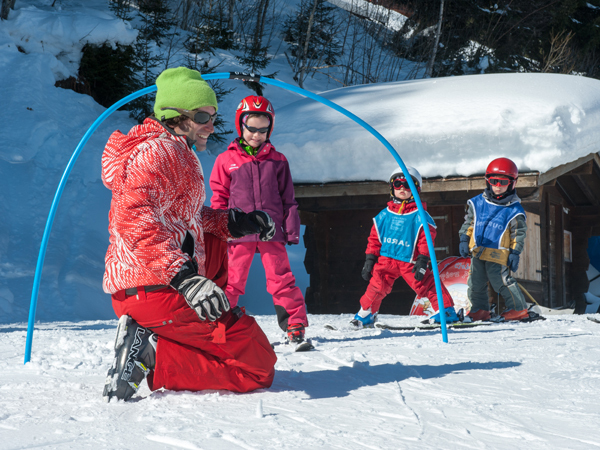 You can check out our Saint Gervais Winter and Summer Guide in the Peak Transfer Blog. 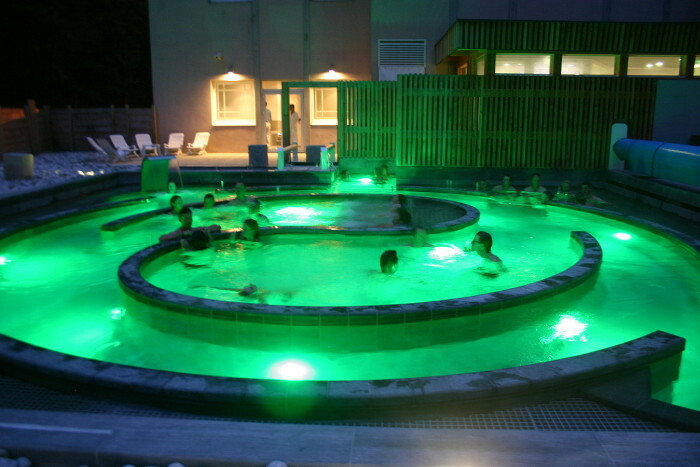 Saint-Gervais Les Bains is an old fashioned spa town nestled at the foot of Mont Blanc; people have been visiting the resort since the early 1800’s for the healing properties of its thermal baths and since 1907 when the first section of the Tramway du Mont Blanc was completed. Not just another purpose-built ski resort, Saint-Gervais has retained its charm and has a very traditional “French” feel to it; many of the locals live here all year round and have done so for generations. The village has historic buildings, a baroque church and plenty of 19th century architectural features that give it something a bit different from the usual Savoyard towns. Saint-Gervais Les Bains is made up of 4 villages; Le Fayet, Saint-Nicolas de Véroce, Le Bettex and Saint-Gervais itself. Le Fayet sits at the entrance to the resort and has a number of shops, restaurants and bars as well as a casino where regular concerts and shows are held; it is also the starting point for the Tramway du Mont Blanc and the home of the thermal spa baths. Saint-Nicolas de Verocé is a pretty little village with a baroque church, the ski area here is above 2000m so is assured good snow cover all season. Le Bettex offers great access to the Evasion Mont Blanc ski area, as well as having lovely tree-lined pistes of its own; much of the accommodation is close enough that you can ski/snowboard back to your door. Saint-Gervais is the hub of the resort situated above the bustle of Le Fayet; it is a beautiful old town with a good choice of shops, bars, restaurants and cafes. 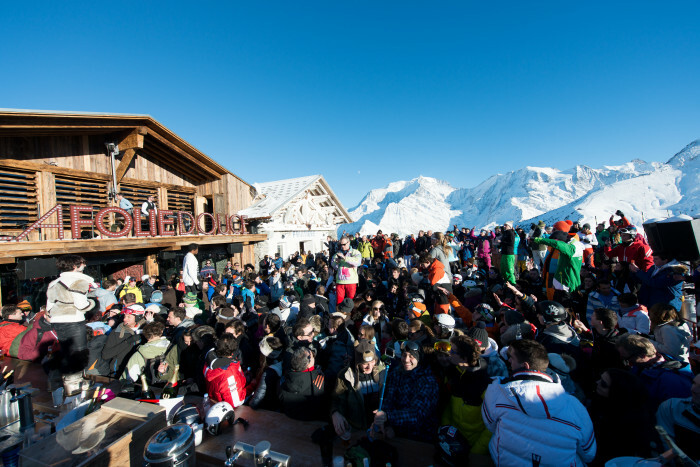 Apres-ski is not as wild as in some other resorts but there are plenty of places you can go for a mulled wine or a locally-brewed beer after a day on the slopes, many of the bars have live music and there are any number of restaurants where you can sample some of the local dishes such as a cheese fondue or a tartiflette. There is even a nightclub, a casino and a handful of late night cocktails bars if you have the energy – fresh mountain air does wonders for a heavy head in the morning! 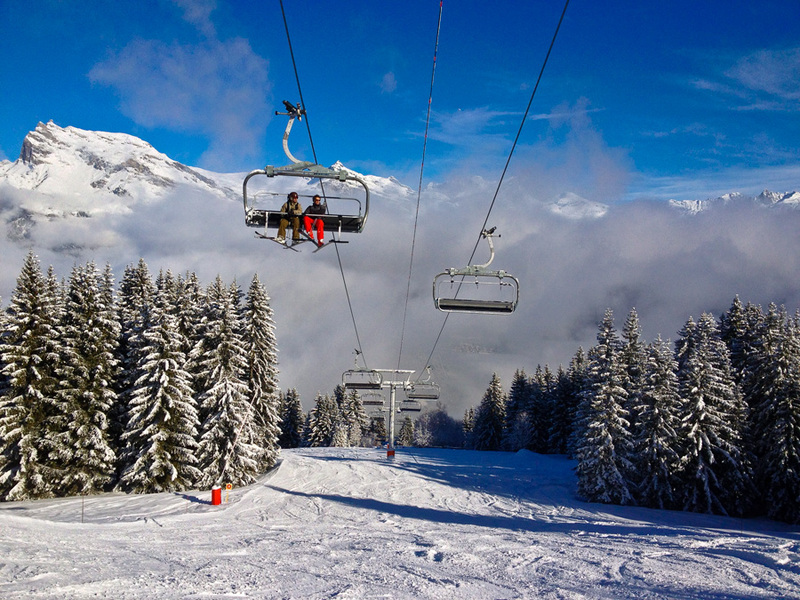 The Saint-Gervais ski area boasts 65km of pisted runs, 27 ski lifts, a snow park, cross-country ski trails and an abundance of off-piste terrain. Saint-Gervais is also part of the Evasion Mont; Blanc ski area, which includes 445km of pistes across 6 resorts in the Savoie region – Les Contamines, Saint-Gervais, Megéve, St Nicolas de Véroce, Combloux and La Giettaz. It is also only a short train journey from Le Fayet to the nearby ski resort of Chamonix, or you can take the Tramway du Mont Blanc up to the Col de Voza in Les Houches – there are no pistes linking the two resorts though so be prepared to take the tram back or return via the off-piste ski area. The tram is one of the ways that Alpinists can reach the summit of Mont Blanc; the track goes as far as the Nid d’Aigle at the foot of the Bionnassay glacier and is well worth a visit for the spectacular views and the opportunity to try out the snowshoe trails on the Col de Voza. There are many mountain guide companies in the area who can advise on the possibility of summiting Mont Blanc. Saint-Gervais is easily accessible from Geneva Airport, with transfer times being around 1 hour.